LUVERNE mud flaps are designed to protect your truck whether you're embarking on an offroad adventure or taking on a new job. Each set is made right here in the USA for dependable quality, and we use recycled rubber to promote responsible sourcing. 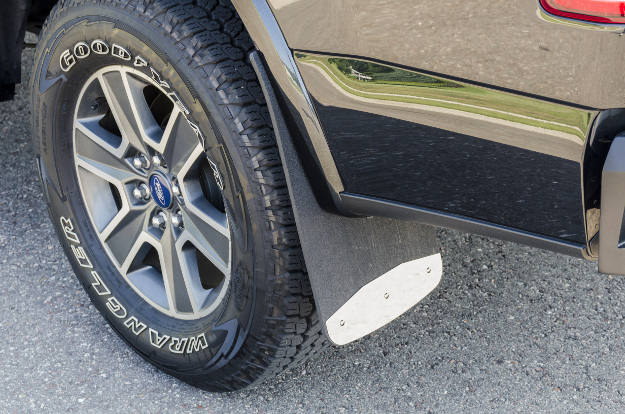 For vehicle-specific protection, our Textured Rubber Mud Guards are custom-fitted for each truck. They feature heavy-duty flaps and unique stainless steel plates. When towing a trailer for work or recreation, our Textured Rubber Tow Guard offers reliable protection, creating a full-width barrier at the rear of the vehicle to deflect road debris. LUVERNE Textured Rubber Mud Guards add style and body protection to your truck, featuring heavy-duty flaps with the right amount of flex. These mud flaps are constructed in the USA from recycled rubber, and they feature 18-gauge stainless steel plates to help protect the bottom edge. Mud Guards are designed for vehicle-specific application for a no-hassle, custom fit. They are available for the front and rear, and we also offer extra-wide mud flaps for dually pickup truck applications. The LUVERNE Textured Rubber Tow Guard offers full protection when towing a trailer by creating a barrier at the rear of the vehicle. It is made from the same tough rubber as our Mud Guards and features a convenient use-as-needed, hitch-mounted design. 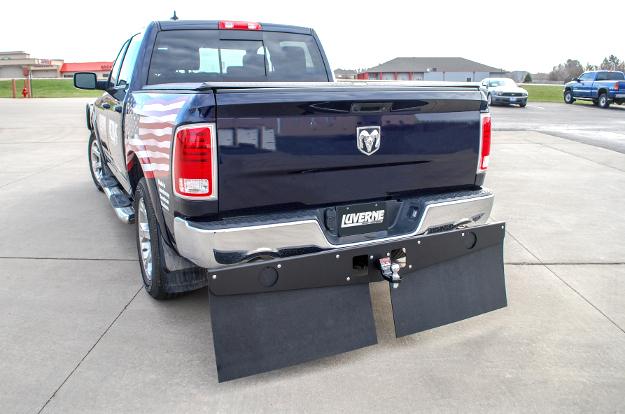 The Tow Guard is available in multiple mud flap lengths to better accommodate different truck applications. We offer options for 2", 2-1/2" and 3" hitch receivers, and all Tow Guards come fully assembled to be ready to use right out of the box.